You can also read some great articles on Black and Retired.com. The pay gap and the wealth gap are among the many reasons African Americans enter retirement in poor financial shape, says Maya Rockeymoore, President of Center for Global Policy Solutions in Washington, D.C. Other explanations include financial literacy and investing habits. The hourly pay gap has widened to the worst in 40 years, according to the Economic Policy Institute (EPI) — a roughly 27% difference in 2015. Whites earned an average of $25.22 an hour vs. $18.49 for blacks, the EPI says. Declining unionization, the failure to raise the minimum wage and lax enforcement of anti-discrimination laws have contributed to the growing black-white wage gap, according to the EPI. According to the Federal Reserve’s Survey of Consumer Finances, in 2013, the median white household had $13 in net wealth for every $1 in net wealth of the median black household. Also, according to a Pew Charitable Trusts report, What resources do families have for financial emergencies, the typical white household has slightly more than one month’s worth of income in liquid savings, compared with just five days for the typical African-American household. Rockeymoore agrees. “The wealth gap is serious,” she says, pointing to disparities between blacks and whites regarding employer-sponsored retirement plans. “A significant number of us [blacks] are in jobs where we do not have access to pre-tax preferred retirement vehicles like 401(k) or 403(b) accounts,” says Rockeymoore. Many blacks work in small businesses where such plans frequently are not offered. “If we do work in jobs that offer tax-preferred vehicles, we tend to not contribute at rates that whites do. And we take out loans out at higher rate,” adds Rockeymoore. One solution, she notes, would be more access to such employer-sponsored plans. Home ownership also plays a big part in the wealth gap. The typical white household aged 47 to 64 has housing wealth of $67,000; the typical household of color in this age group has zero home equity, according to the December 2016 report, Social Security and the Racial Gap in Retirement Wealth, from the National Academy of Social Insurance. Debt can limit the ability to achieve other financial goals, especially retirement planning, too. 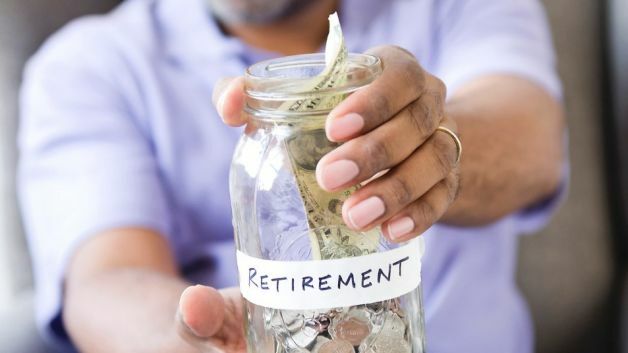 “Among African American employees surveyed who are offered an employer-sponsored retirement account but contribute less than the employer match or do not contribute at all, 40% say that paying down debt is a higher priority for them than making retirement contributions, according to Prudential’s 2015-2016 African American Financial Experience. There are also big differences in financial literacy between blacks and whites. Only one in 10 African Americans work with a financial professional compared with one in four white Americans, the Prudential report said. Theodore Daniels, president of the Society for Financial Education and Professional Development agrees. “There has got to be more education. People have got to be willing to attend financial education workshops. Some people don’t know what they don’t know. Once they attend, they say ‘I can do this.’ If they are not educated, they are not comfortable making decisions, and they won’t do it,” Daniels notes. This may be due to a lack of comfort with the stock market. Owens says black investors typically focus on guaranteed or fixed investments that are low-risk or no-risk. As a result, their retirement funds aren’t compounding at a high rate of return. According to the Federal Reserve, the average balance of African Americans in 401(k)s is only $23,000. And Social Security and the Racial Gap in Retirement Wealth found the average balance for African Americans in pensions and IRAs was $10,300, vs. $105,600 for white Americans. Owens believes many African American workers don’t take full advantage of all the choices in their employer-sponsored plans because they don’t understand them. “The tendency to be risk averse is directly correlated to their lack of knowledge,” she says. Brewer believes employers could play a bigger educational role. “It is important for companies or organizations who have higher percentages of African American employees to realize that there are some differences, and they need to bring in people who have some cultural sensitivities to those differences, and come up with a plan to help those groups,” says Brewer. He says African Americans need financial advice on issues such as having higher student loan debt than white counterparts and, often, a greater need to financially assist less affluent family members. Rockeymoore says African Americans, even in retirement, tend to support other family members, including children and adult children. Also, they are disproportionately taking care of grandchildren, making them unable to save more for retirement. The average white family had more than $130,000 in liquid retirement savings (cash in accounts such as 401(k)s, 403(b)s and IRAs) vs. $19,000 for the average African American in 2013, the most recent data available. The wealth gap is growing. The average wealth of white families in 2013 was more than $500,000 higher than that of African American families ($95,000). In 1963, the average wealth of white families was $117,000 higher than for black families. White families accumulate more wealth over their lives than African American families, on average, which widens the wealth gap as they age. In their 30s, whites have an average of $140,000 more in wealth than African Americans (three times as much). By their 60s, whites have over $1 million more in wealth than African Americans (11 times as much). In partnership with Fidelity, The Huffington Post presents Retire Well, a section dedicated to highlighting all the topics that pre-retirees care about, from healthy aging to healthy finances. Covering retirement news, health, wellness, and finance, this section of the website aims to explore the exciting developments that are changing the face of retirement today. Here’s are a few articles featured on their site. Boredom is retirement’s four-letter word. Most retirement planning focuses on one thing: money. How much will you have once the music stops and is that going to be enough to last you for the rest of your life ― especially since no one knows how long that will be? The bulk of your thinking probably goes like this: Is it smart to pay off the mortgage? What will I do if the stock market crashes again? Will either of these two presidential candidates eventually get around to even mentioning Social Security ― even just for one news cycle, pretty please? It’s all financial-based concerns. But what gets a whole lot less thought is this: How will you actually spend your time once you no longer have a job to go to? When it comes to retirement, boredom can be a four-letter word. One small British study found that the joy of retirement wears off after around 10 months. About half of the 787 people surveyed by the Skipton Building Society noted that they missed the social aspects of their work life ― the camaraderie that went hand-in-hand with their job. Four out of 10 said the novelty of staying at home wore off, their mind was no longer being pushed, and they were bored. Boredom is retirement’s buzzkill for sure. A Pew Research Center study titled “Growing Old In America: Expectations Vs. Reality” found that 70 percent of people 65 and older saw spending more time with family as one of the top benefits of growing older. But that assumes that you have family ― and family that has time to spend with you. Advisors suggest, if possible, to ease into retirement by working fewer hours at first ― and to think about how to fill those hours when you aren’t in the office. Busy people, busy minds. Hey Buddy!, I found this information for you: "The Retirement Crisis Facing African Americans". 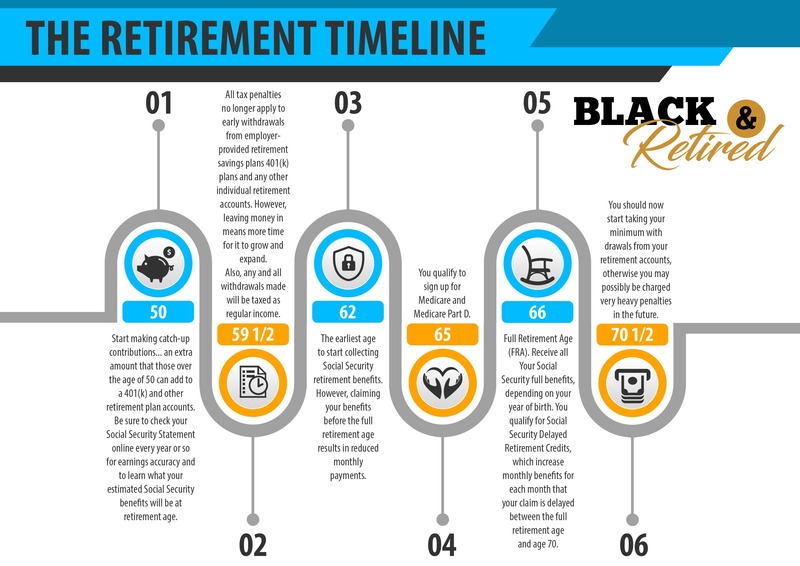 Here is the website link: https://blackmeninamerica.com/the-retirement-crisis-facing-african-americans/. Thank you.